It’s important to know how to clean your Ninja Coffee Bar so you can hop to it when the light tells you its time (but ideally even before that). 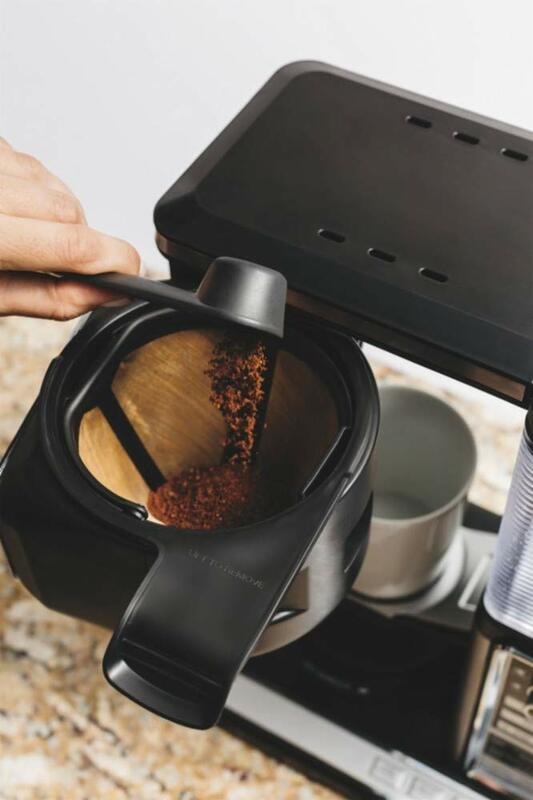 Once you start nearing time to clean your coffe maker, you may start to notice a difference in the way your coffee drinks tastes. Cleaning your Ninja Coffee Bar regularly will ensure that your coffee always comes out hot and tastes fresh and delicious. If you’ve just purchased a Ninja Coffee Bar, you’ll want to go through a cleaning cycle before the first use. Your coffee may start to taste a little “off” even though you’re using the same coffee you’ve been using for a while. That’s usually the first indication that you really need to run it through the whole cleaning/descaling cycle. You may see the red CLEAN light come on before or shortly after you notice a difference in taste, though. Once you see that red light, it’s definitely time to start the clean cycle. Ideally, though, aim to clean the coffee machine weekly. Other parts of the coffee maker will need to be cleaned more frequently—and in different ways—than the light indicates. For example, you’ll want to clean the carafe and filter much more often (after each use). 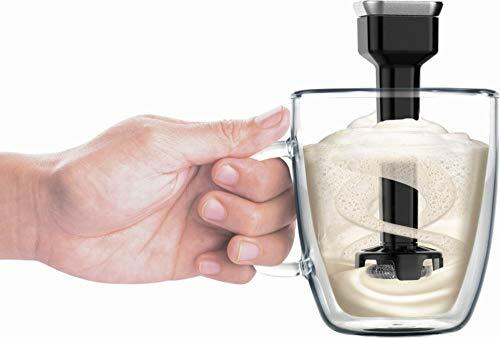 You’ll need to clean the frother after each use, too. We’ll talk about all of those parts a little later. Empty out the reservoir, carafe, filter, and filter holder. Rinse the parts that could still have coffee residue on them (so basically everything but the water reservoir). Once you’ve dumped out any leftover coffee in the carafe or water in the reservoir, you can get started with the descaling process. If you’re using a descaling solution on your Ninja Coffee Bar, follow the directions on the bottle to find out how much of what to add and how much water to use. If you’re going the white vinegar route, fill the water reservoir to the travel mug line (16 oz.) with that and then finish filling it to the Max Fill line with fresh water. Make sure the reservoir is firmly in place and that the carafe is also in its place under the brew basket. Turn the dial to select the full carafe or appropriate brew size for your single serve machine. Wait for about an hour. 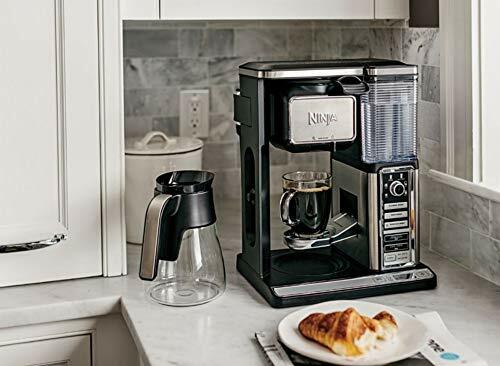 Stay close enough to the coffee maker to hear it beep when it’s done with phase one or set a timer for about 55 to 60 minutes, but don’t push any buttons on the coffee machine. You may think nothing is happening at first, as it doesn’t run the water/vinegar solution (or descaling solution) through the pot as quickly as it makes a pot of coffee. Most of the water runs through toward the end of the cycle. When the first step is done, you’ll hear the coffee machine beep. Check to see if “FLUSH” is scrolling across the display screen before you do anything. You’ll only have 15 minutes after the beep and appearance of “FLUSH” to finish the process. If you don’t get to it in that amount of time, you’ll need to start over to get the “CLEAN” light to actually turn off. If “FLUSH” is on the screen, empty and clean the carafe and then return it to its spot under the brew basket. Clean and refill the water reservoir to the Max Fill line again and press the “Clean” button. This second part only takes about eight minutes. Don’t press any more buttons while the coffee machine’s working (it may pause briefly before starting phase two of the descaling process). When the light turns off, you can empty the carafe. Clean it again if you feel it’s necessary (same with the water reservoir). Feel free to clean the filter and filter basket, too, just to remove any traces of vinegar or descaling solution before you make your next cup or pot of coffee. The steps are really similar to the ones above. This is a more hand wash process than the one with the carafe. Take note of how much vinegar solution and water to use, as well. If you have a single server system without a carafe, fill to the 11 oz. cup line with white vinegar and then finish filling the reservoir to the Max Fill line with water. Make sure a big enough container is in place to catch the water before you start. 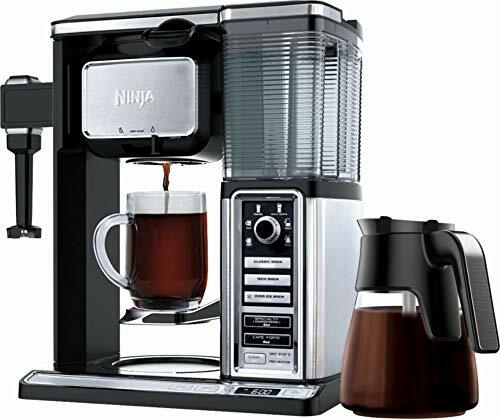 Wait for the Ninja Coffee Bar to run water through the coffee maker and watch for the CLEAN light to flash three times. Empty the container you’re using to catch the water and set it back into place. Wait for the beep and the flashing CLEAN light again. Repeat the process until the CLEAN light flashes five times instead of three. Clean the container and water reservoir, then fill the reservoir to the Max Fill line again (just water this time). Press CLEAN again to start phase two of the process, flushing the machine. Once again, wait for the beep and three flashes of the CLEAN light. It’ll take about 15 minutes each time. Repeat until the CLEAN light flashes five times instead of three. When the light finally turns off, you’re done descaling your Ninja Coffee Bar. Dump out the water in the container and anything left in the reservoir. Clean again (and clean other parts of the coffee machine) if you feel it’s necessary. Now that you know how to descale it to deep clean the coffee machine, you may still want to make sure you know how to clean a Ninja Coffee Bar’s other pieces. Some can go in the dishwasher, but others will need to be hand washed. When it’s time to clean these parts, unplug the coffee machine, make sure it’s cooled off if you recently made coffee, and close the drip stop. You may wish to clean some of these after each use. Others can wait until the weekly cleaning process if you’d prefer to do it that way. Surprisingly, though this part looks like one of the least likely to be dishwasher-safe, it is. You can toss it on the top rack of the dishwasher and call it good. Of course, if you don’t have a dishwasher or you need it to be clean immediately, you can always hand wash it with soap and warm water. Dry it thoroughly and then reattach it to the coffee machine. Just hand wash this one with warm, soapy water. You can use a soft foam brush or sponge to scrub the inside and get it sparkling clean and residue-free again. Note: The glass carafe is dishwasher safe, but the thermal carafe is not. The brew-through lid is also dishwasher-safe (top rack). You could scrub the removable permanent filter with a cloth or brush and soapy water, but you can also put it on the top rack of the dishwasher. Clean this part (the part that swings out) by hand with soap and warm water. The removable filter holder is top rack dishwasher-safe, but you can always use soap and water to hand wash it, too, of course. The brew basket is not dishwasher-safe. Use a warm, soapy cloth on the exterior of the machine. That includes the outside of the water reservoir, base, underneath the water reservoir, the shower head, the lid to the water reservoir, and swinging brew basket. Never immerse the base in water. A warm, soapy cloth will get the job done here, too. You can just go over it with the same cloth you use on the exterior of the machine. You can wash this piece and its lid by hand with soapy warm water or place them on the top rack of your dishwasher. Learning how to clean a Ninja Coffee Bar and then keeping up with it each week will make it second nature. You’ll know how to do it and it’ll just become part of your weekly routine. Staying on top of it will ensure that your coffee is as delicious as possible and keep your coffee maker functioning well. Don’t wait for the light to tell you it’s time to clean. It’s simply an indicator of calcium buildup in the machine, but your coffee flavor could suffer well before it lights up. Previous Post: « Best Black Friday / Cyber Monday Coffee Deals: Cyber Coffee Machines, Espresso Machines, and More!